Whether you are new to property investing or already have a large portfolio, knowing the best tools for property investors can help you grow and manage your portfolio more effectively. And, when you are growing and managing your properties more effectively, it gives you an advantage over other investors when you are looking for your next property. Buy-to-let landlords will love Property Hawk as it gives them free access to a host of documents and software that would normally need to be paid for. Legal costs can be cut by downloading their free forms and documents, including; tenancy agreements and rent change notices. Users can also manage their property portfolio using the free Landlord Software. This gives landlords the ability to keep all of their records up to date and manage the finances of their properties effectively. All you need is an account at Property Hawk which is free and takes just a few moments to set up. If you’re not an ‘admin person’ then you’ll appreciate this beauty of a tool that’s made specifically for property investors. Landlord Vision combines both property management and accounting into one easy-to-use tool. 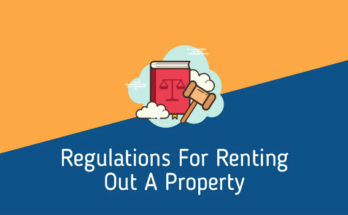 That means you can easily keep on top of both your accounts and the various paperwork you need to meet landlord regulations. Landlord Vision is recommended by both the National Landlord Association (NLA) and the Residential Landlord Association (RLA) so you know it’s a tool that can be trusted. If you need any work doing on your properties that you cannot carry out yourself, Rated People has you covered. Whether the job is large or small, there are over 50,000 local tradespeople on the site that cover the whole of the UK. Therefore, you can be sure of finding someone capable of doing the jobs you need doing, at a fair price. Each tradesperson has a profile where any reviews from past jobs will show up so you know they can be trusted with the work you need doing. Rated People is by far one of the quickest and easiest ways to hire tradespeople to work on your property portfolio. The Property Detective website is primarily made for non-investors who are buying a property. However, that doesn’t mean it cannot be useful to investors too. Simply enter the postcode of a property you are considering buying and you’ll be presented with a range of detailed statistics and facts about the local area. For example, you’ll get school reports, crime information, local demographics, flight path information, and more. All of this can be used to help you assess the type of tenant you are likely to attract and how best to market the property on re-sell. To get started, you just need to enter a postcode on the Property Detective website. Founded by a two former letting agents, Portolio is a relative newcomer in the industry and is still building up a head of steam. However, don’t let that put you off as this is a business that could really be going places. In essence, it’s a property portal not unlike the ones offered by giants such as Rightmove and Zoopla. However, where Portolio differs is that they only feature tenanted properties that are up for sale. That makes it a buy-to-let landlords dream as you can benefit from immediate rental income as soon as the purchase has been completed. Beginners will also love the ease at which they can buy their first investment property without the uncertainty of whether they can find a tenant quickly. The site is still relatively new, so the one downside is that there are only a limited number of properties available at any one time. However, it’s still possible to find some gems and, over time, we would expect the number of properties available on Portolio to grow fast. This is a really simple, yet extremely powerful little tool that will give you a wealth of extra data about properties as you browse them on Rightmove. It’s free to use, you just install the plugin and, when you next view a property on Rightmove, you’ll see extra details added to the listing. This includes things such as whether the property has been reduced in price and when, if anything has changed on the description, if it has been listed on the market previously, and so on. You can then use this information to help you negotiate a lower price on a property as you’ll know if the owners are struggling to sell at the current price. The plugin only works on the FireFox browser but it’s worth downloading FireFox even if only to use the Property-Bee plugin. Even non-investors will find this tool useful. As a private landlord, communicating with your property manager and tenants isn’t always easy. That’s where HeyLandlord tries to help. Think of it as a kind of WhatsApp messenger for property investors, with the added benefit that you can store extra information about properties so you can see at a glance the key details as you chat. Once in a chat, you can easily send out broadcast messages to all of your tenants and property managers, or contact individuals to chase missing rental payments or arrange an inspection. Your tenants can also use the app to let you know about any maintenance issues you need to know about. You can add an unlimited number of properties with the first 15 bring completely free. That means the majority of landlords, will never have to pay to use HeyLandlord. Whether you’re an estate agent, investor, or developer, the Sprift platform is well worth checking out. As a relatively new tool, it has all the look and feel of a modern software, yet it isn’t just nice to look at, it’s incredibly useful too. The main purpose of the software is to collect a wide range of information about any given property and collate it all in one easy-to-use platform. That makes it perfect when performing research on potential properties to buy. You can also manage the properties you already own and the documents related to them within the tool, too. There’s even a number of handy calculators so you can calculate build costs, yields, and financing. There’s a free trial available on the Sprift website and you can get the details on your first property for free. One of the best-known landlord software in the UK, RentCentral allows you to easily keep track of all of your properties. You can upload bank statements, get alerts for important events on your phone, store documents in the cloud, and get everything in order for self-assessment. It’s not the newest software around which means it looks a little dated compared to some other options. However, what it lacks in smooth graphics, it makes up for in functionality and features. There is a free account which allows management of a single property with some features such as uploading bank statements not available. If you have multiple properties or want to unlock all features, you’ll need to take one of the RentCentral paid plans. These start from as little as £4.16 a month. If you’re buying (or thinking about buying) investment properties at auctions, PropertyAuctionAction is a must-bookmark site. It contains listings for hundreds of property auctions happening across the UK, with links through to the property listings on the auction houses websites. Just remember to view any properties before you bid on them so you can look out for the most common problems with auction properties. You can also use our guide on the correct order to renovate an auction property once you’ve bought one. So, go and check out PropertyAuctionAction and find a property auction near you. If you don’t yet know everything there is to know about property investing, which, let’s face it, most of us don’t, The Property Hub will go a long way to changing that. It’s jam-packed full of investment advice and informative articles aimed at all levels of property investor, from beginner to expert. There’s a forum to network and get help from other property investors, a quarterly magazine, free property courses and local events, plus, one of the best property podcasts around. It’s free to join and there are over 20,000 members already on the site. The Property Hub is, therefore, one of the largest, and most helpful sites around for property investors. And that completes our list of 10 (plus a bonus one!) of the best tools for property investors in the UK. There are lots of other good tools out there too, so check these ones out, but don’t ever stop looking for new tools that will make your job as a property investor easier! Don’t forget, you can combine these tools with our 10 top property investment tips for even better results! Plus, if you need to find tenants quickly and cost-effectively, check out our top-rated online letting agents to find the right agency for you.